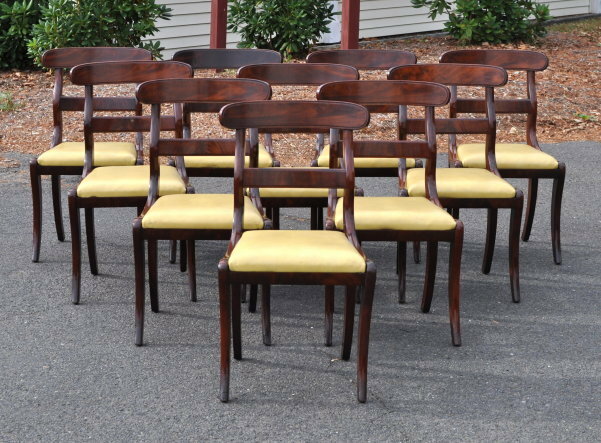 Fine set of ten federal mahogany dining chairs, with ovoid figured mahogany veneered crest tablets, a horizontal strap slat, above upholstered slip seats, raised on sabre front legs with raking rear legs. Some repairs. New York, circa 1820. Provenance: From the estate of Elizabeth Luther, NYC. 33" high, 18" wide, 20" deep. Click here for more photos.